There are three main types of digital storage: magnetic, optical, and cloud. Many photographers find it best to use a combination of the three to make sure they always have one copy of their images in case disaster strikes. Technology is constantly changing, so for a photographer with a lifetime of work, it is best to be ready to change with it. That may mean transferring all your photographs at some point in the future. Magnetic storage refers to any storage that involves a hard disk. While your computer probably a hard disk, you can also buy portable hard disks that plug into your computer. You can also add additional hard drives to a desktop computer. Magnetic storage is a stable type of storage. It also holds a huge amount of data — a 250GB hard disk holds around 44,000 12MP JPEG images or 14,500 12MP RAW images. If you're using an external hard drive, it's worth paying a little extra for a hard disk that comes with a cooling fan. The disks are in enclosed spaces and can get hot. The drawback to external hard drives is that if there is a fire or some other disaster at your home or office, the drive can be damaged or destroyed. Some people have decided to store a second drive at an additional secure location. CDs, DVDs, and Blu-Ray are all types of optical storage. They are available in various R (read-only) and RW (rewriteable) formats. While RW discs are rewritable, it safer and cheaper to use R discs, as they can only be burned once, and there is no danger of discs being accidentally overwritten. On average, R discs are also more stable over the long term than RW discs. CDs hold 700MB of information and can hold around 125 12-megapixel JPEG images, or 40 12-megapixel RAW images. DVDs hold 4.7GB of information, which is about six times more than a CD. These are called single-layer DVDs. Double-layer DVDs hold 8.5GB of data but tend to be less compatible with computers at present. Most disc-burning programs come with a verification option that, although it lengthens the process of burning a disc, is essential to follow. During verification, the program checks that the information burned on the CD or DVD is the same as that data found on the computer's hard drive. Errors are not unheard of when burning CDs or DVDs, and they can be particularly prevalent if other programs are being used during the burning process, so when burning a CD or DVD, close all other programs and use verification to avoid the potential for errors. The major drawback about optical storage is that many computers (particularly laptops) are now being sold without a CD/DVD drive. 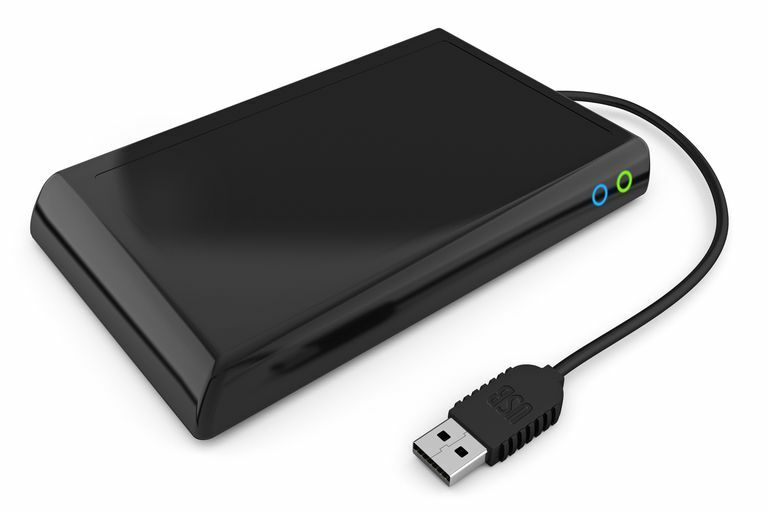 You may need to buy an external DVD drive to continue using DVDs and CDs after your next computer upgrade. Again, if disaster strikes your disc storage, they can be damaged or destroyed. Automatically uploading computer files to the cloud is the newest way to store photos and important documents, and it is a convenient way to create backups. These services can be programmed to upload a file to the internet automatically. Popular cloud services like Dropbox, Google Drive, Microsoft OneDrive, and Apple iCloud can be integrated into almost any device and computer. Many include a certain amount of free storage space, and you can pay for more storage if needed. Online backup services like Carbonite and Code42 CrashPlan are convenient ways to continually back up all of your computer files to online storage. These services charge a monthly or annual fee but are convenient in the long term. They also automatically make updates to any files that you change, and most store files even after you delete (accidentally or on purpose) them from your computer. Cloud storage is still a new technology. It is important to not only keep any subscriptions current but to keep track of the company that is storing your files. Use a reputable company that you feel you can trust. Nothing would be worse than entrusting your valuable photographs to a business that goes under in a year or two. When using cloud storage, think about your family should anything happen to you. They may want to access your photographs after you die, so figure out a way to tell them where you store files and how to access them, including username and password. Flash drives are extremely convenient ways to store and transport files, and they are holding more files than ever before. Their small size makes them attractive for storing and sharing many images at once. However, as a long-term storage solution, they are not the best option because they can easily be damaged or lost, and the information they hold is too easy to erase.